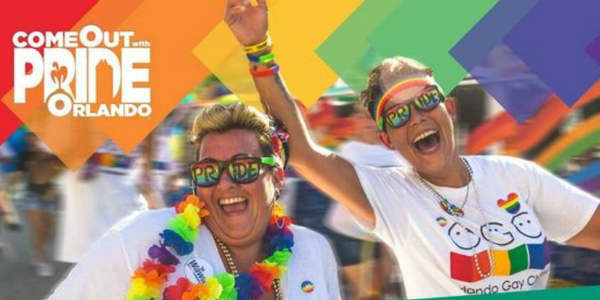 Come Out With Pride 2018 will honor and celebrate Orlando’s LGBTQ+ community and its allies October 8-14. 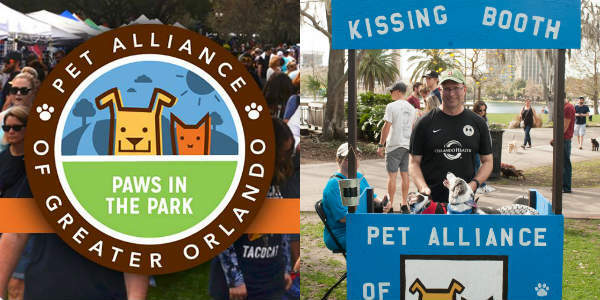 It kicks off with a Drag Race 5K through Baldwin Park, and finishes with a big weekend featuring the Come Out With Pride festival at Lake Eola, and the Recovery Brunch at Celine Orlando. Next weekend, downtown Orlando will turn into one big party as Festival Calle Orange takes over the streets for the 14th year. Over 10 blocks of downtown will be closed for the festivities, which will showcase the sights and sounds of the Hispanic Community. Caribbean, Central America and South America will be represented in music, food, dance and more. There will be five stages going simultaneously with live bands, including Grupo Mania, Trina, Samuel Hernandez, Tito Rojas, and Rey Ruiz. There will even be a block of entertainment just for children to enjoy. 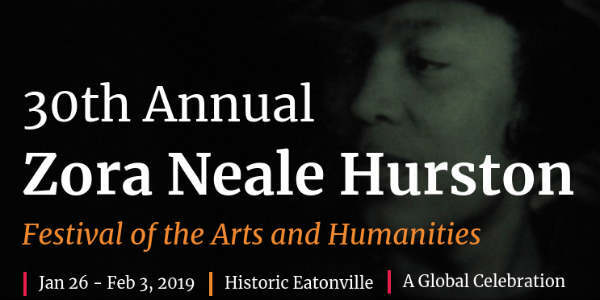 The event takes place down Orange Ave from Colonial Dr. to Robinson St, as well as a block in each direction of Orange. Entrances to the festival can be found on Livingston St at Garland to the west and Magnolia to the east, plus at Concord and Magnolia. This celebration of Latin America takes place October 23, 2011, from 11am to 7pm. Festival Calle Orange is free to attend, so bring the entire family. 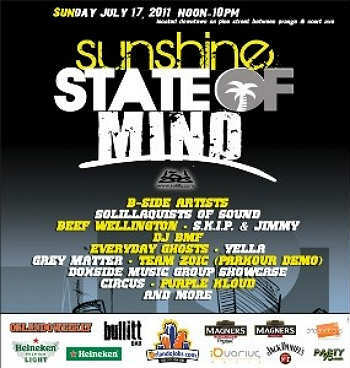 This Sunday seems to be the day for outdoor festivals in Orlando. In addition to the one I posted about yesterday, here’s another one that will take place downtown. This one seems to be more of a music fest, with live music from a variety of artists. It takes place on Pine Street, between Orange Ave and Court Ave.
How’s this for a Sunday of fun: food, live music, a pin-up contest, more food, a car wash, a vintage car show, more live music and an after-hours burlesque show? What if I told you all this would not only be $10, but proceeds from the day would benefit the Mustard Seed of Central Florida? 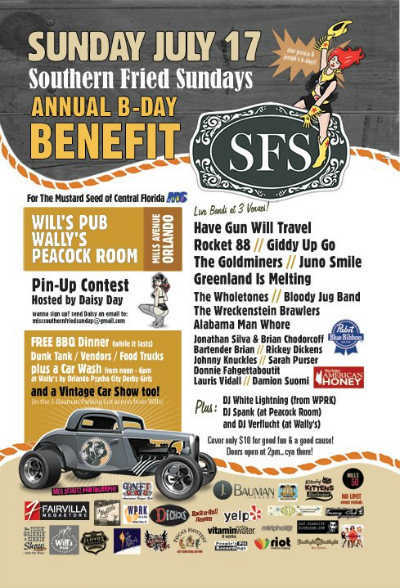 Then you’ll want to be at the Southern Fried Sunday Annual B-Day Benefit on July 17, 2011.